The best TExES Core Subjects EC-6 practice test have 267 questions like the real exam. The official exam gives you 5 hours to answer the questions. This puts a lot of pressure on you to finish before time runs out. Passing the TExES Core Subjects EC-6 means being able to correctly answer each question in a minute and few seconds. The speed at which you can accurately read and answer questions correctly is a huge determinate of whether you’re going to pass or fail. Effective TExES Core Subjects EC-6 practice test questions improve your test taking skill. They also help you master the exam content inside and out. There are several test taking skills essential to pass. However, the #1 test taking skill that most TExES test takers are lacking is pacing during real testing condition. TExES practice test questions are absolutely necessary to building this ability. Why is a TExES Core Subjects EC-6 practice exam critical in getting a passing score? Because it’s so easy to fail due to lack of test taking skills, not lack of content knowledge. For example, something as simple as failing to correctly pace yourself during the exam is enough to fail even if you know the material. You could easily mull over correct and almost correct answer choices. When you do that too long across multiple exam questions, you run out of time. Then get forced to just fill in random answers in the last 5-10 minutes of the test. That’s a guaranteed way to fail the TExES Core Subject EC-6. However, you’ll have a difficult time finishing if you’re a slow reader and did your test preparation the wrong way. You can try to read faster, but if you just skim through the test questions, you’re likely going to make a lot of careless mistakes. And with time running out, panic can easily set in making you forget the things you studied. Failure to use your TExES Core Subjects EC-6 practice test and prep book correctly leads to failure. When this happens, your dream of becoming a Texas educator has to wait. In addition to this, you’re stuck with no employment to make a living or to pay your student loans. And even if you get a job, it won’t be as rewarding as a full-time teaching career. For these reasons, you need to develop your speed in answering the exam questions. This is only possible if you address this challenge during your study sessions. 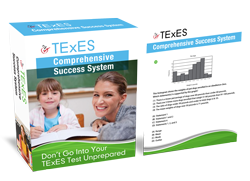 Do you have TExES Core Subjects practice test questions or review guide? If you don’t have it yet, you better get one. Make sure it contains sets of practice exams. Use the practice tests to help you improve your test taking speed. But how exactly can you improve your speed in taking the exam? I know it’s easier said than done. So I’ve prepared the best TExES Core Subjects practice exam advice to improve your test taking speed. Read all about these in the next section. Are you a slow reader? Develop your speed in reading passages during your review. To do this, regularly read a number of long passages every day. You shouldn’t skim through the sentences. Instead, read and understand them. Get the main idea of the passage. Don’t be discouraged if you’re slow in comprehending them. You’ll make improvements as you go along in your TExES preparation. Improving your speed in reading passages and understanding their main ideas can help you answer test questions faster and correctly. In your TExES Core Subjects EC-6 practice tests, make a conscious effort to answer them as fast as you can without looking at how much time is left. Regularly doing this in your preparation for the TExES will help you in the actual exam. You’ll be trained to answer the exam at a fast pace without worrying too much about the time remaining. This can help lessen the pressure you’re feeling in answering the test questions. Don’t let the timed TExES Core Subjects EC-6 exam put pressure you. This can result to panic. If you’re feeling the pressure getting more intense, take a few seconds to calm down. Close your eyes and clear your mind of any thoughts. Just feel the rhythm of your breathing. Feel your heart beat normalize and then you can resume to answering the test. Do you have a tendency to take tests too fast? If so, you’re risking your score by not using all time resources given to you. The TExES exam is not a competition. Rushing through it leads to careless mistakes and wrong answers. It usually from not accurately reading what the question is asking or answer choices completely mean. It usually means you left “points on the table” completing the test while there’s time remaining. Use TExES Core Subjects EC-6 test practice as an opportunity to learn to slow down your pace. If you can effectively handle the pressure, you’re more likely going to be able to think clearly for the right answers. In turn, this helps you finish the test on time. Train yourself to relax in your TExES practice tests so you develop this skill for the real exam. You have to finish the TExES Core Subjects EC-6 test on time to give yourself the best opportunity for a passing score. Spending two minutes on one question you don’t really know the answer to is dangerous. Second guessing yourself for two minutes or longer on answer selections means you’re not leaving enough time in the test to answer other questions you have a better chance of getting correct. So make sure you develop this test taking skill to help you improve you test taking speed. Go to: What Type Of TExES Test Taker Are You? – Will It Block You From Passing The TExES Exam?….